Perfect great looking ahead to see your product in Africa and Middle east and we are ready to do business with your esteemed company in this area. Dr.Adil Osman Ahmed Minni Hello Dr Adil. Please contact my colleague Mr. Nemanja Todorovic for further details. You can contact him on mail address nemanja.todorovic@patent-co.com. Many thanks for your prompt reply and advice for sure I will send him an email as per your advice for further mutual benefits between our companies and any business opportunities. 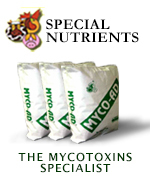 What is the differentiating factor/s in your mycotoxin control as compared to Kemin, Biomin and others. For more information please contact colleagues: nikola.krasic@patent-co.com or nemanja.todorovic@patent-co.com. Dear Sirs from PATENT CO company? What are your sources for vitamins, micro-macro minerals, amino acids and other premixture components? Probably from China and other Far East countries? What is the warranty for acceptable quality these sources which request EU? Do you have acceptable QC-QA-RA documentation about it? Do you have adequate permission for premixture export in EU, for example in Croatia? It is great that know that now you have 6 months in Premix production, looking ahead know more about your vitamins and minerals sources, your QC/QA and your customers in EU and do you have all the required documents for export e.g. Certificate of Origin, Analysis Certificate, Health Certificate, Free sale Certificate, Do you have Broilers/layers mineral premix only all large animals also? Well done job Dr. Adil. Possible you teach me how to formulate this premix in a small scale? Please contact Mr. Nemanja Todorovic for further details. You can contact him on mail address nemanja.todorovic@patent-co.com. for Premix information from Patent. Would you like to discuss about this topic: New Premix Plant: PATENT CO?